If you’ve never used vaseline, it’s this gooey white/yellow cream that’s 100% pure petroleum jelly. What that means is it’s like a mineral oil and wax mixture. It’s super cheap and is supposed to keep your skin moisturized and soft. The reason why Vaseline is so cheap is because it’s made as a by-product of producing petrol. Why Use Vaseline To Catch Bed Bugs? The reason why vaseline (or petroleum jelly) features on a bed bug website is because Vaseline it’s a little bit sticky. This means that any bed bugs that walk across it will get stuck to it. That’s why Vaseline is often used in devices to capture bed bugs. A super easy and cheap way to detect bedbugs is to spread Vaseline on your bed legs. Any bed bugs climbing up or down from the bed will be trapped by the sticky Vaseline. 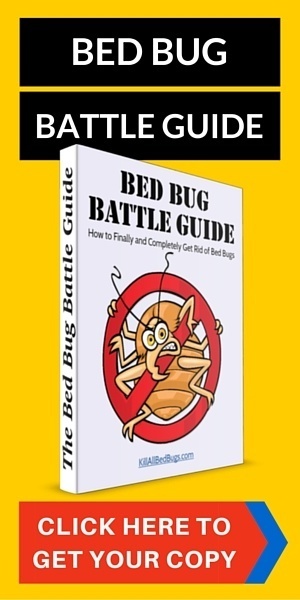 You can then examine your bed legs in the morning to see any bed bugs were caught by your trap so you can know whether you have a bed bug problem or not. This is a round (or sometimes rectangular) device made from plastic that has two separate chambers. You place this device under your bed legs (one under each leg) and then go to sleep as usual. Any bed bugs that climb into or out of your bed via the bed legs will get trapped in the outer chamber of the device and can’t climb out. So, every few days just look in that chamber to see if any bugs are trapped there. The device is white to make it easier for you to spot whether there are any bed bugs trapped in there. You can get a climb-up device on Amazon here. Double-sided tape can be used instead of vaseline in a similar manner to set up a trap for bed bugs. You place the double sided tape various places around your home, including around your bed legs and the legs of your sofas (if they’re fabric). If you have carpet in your home, then make sure you place some double-sided tape around the wall near the carpet as bed bugs may hide in your carpet. The main issue with using double-sided tape as a trap is that it’s not white like vaseline or the climb-up trap so it’s harder to spot bed bugs that are stuck to it. So, when you check your tape for bed bugs, make sure to look very carefully. It can also be very easy to mistake other bugs for bed bugs in your haste to identify a bed bug. Bed bugs are typically very small and hard to spot so look for something very small, dark brown, round, and flat. It’s thought that bed bugs find humans to bite at night because they are attracted to the carbon dioxide we emit. So, these bed bug monitors work by emitting carbon dioxide to attract bed bugs and once the bed bugs are in the device, they are trapped or killed. The concept for these devices is excellent, however in practice, they tend not to work all that well. That’s because humans emit way more carbon dioxide than the monitors so the bed bugs will still be attracted to your bed rather than make that journey over to the monitors. However, these monitors may work well for empty rooms where the only source of carbon dioxide will be from the device. 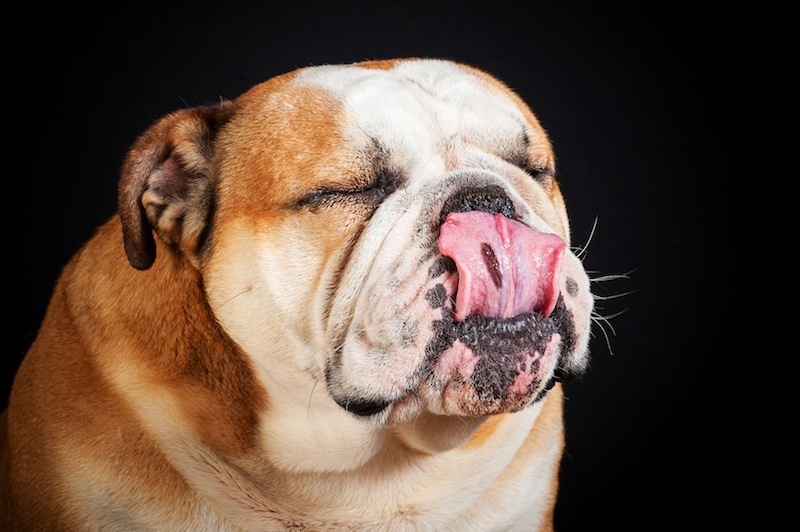 These dogs can come in your home and sniff out bed bugs and bed bug eggs. 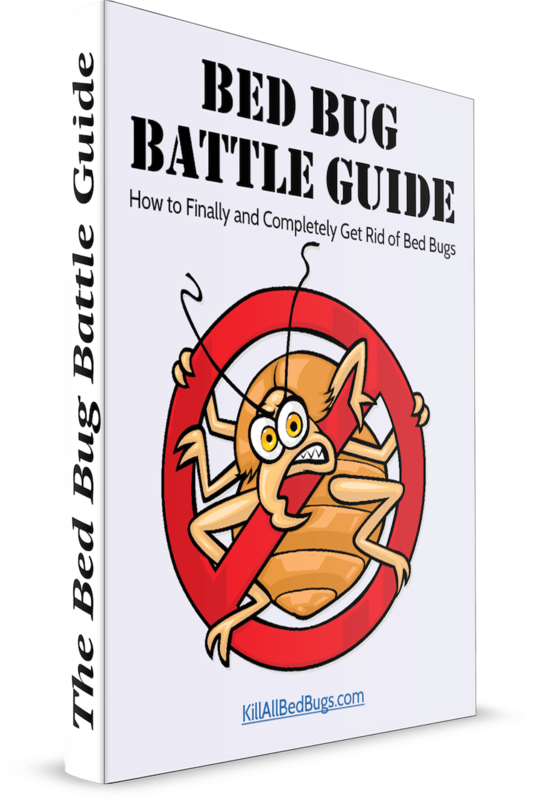 If you’re looking for ways to determine if you have bed bugs in your home, then this method is one of the most reliable (other than actually catching a bed bug). Are Bed Bug Sprays Also Bad For Pets? There are a variety of bed bug sprays available to buy, but not all of them are safe for use in houses with pets. One of the best bed bug sprays is Steri Fab – it works very well at killing bed bugs. Unfortunately, it uses a variety of chemicals that wouldn’t be great for your pet if they swallowed it. There are two other popular bed bug sprays, and both of those are made using natural essential oils so they are safe to use on pets. Unfortunately, they don’t work well (perhaps because essential oils are not that potent against bed bugs). 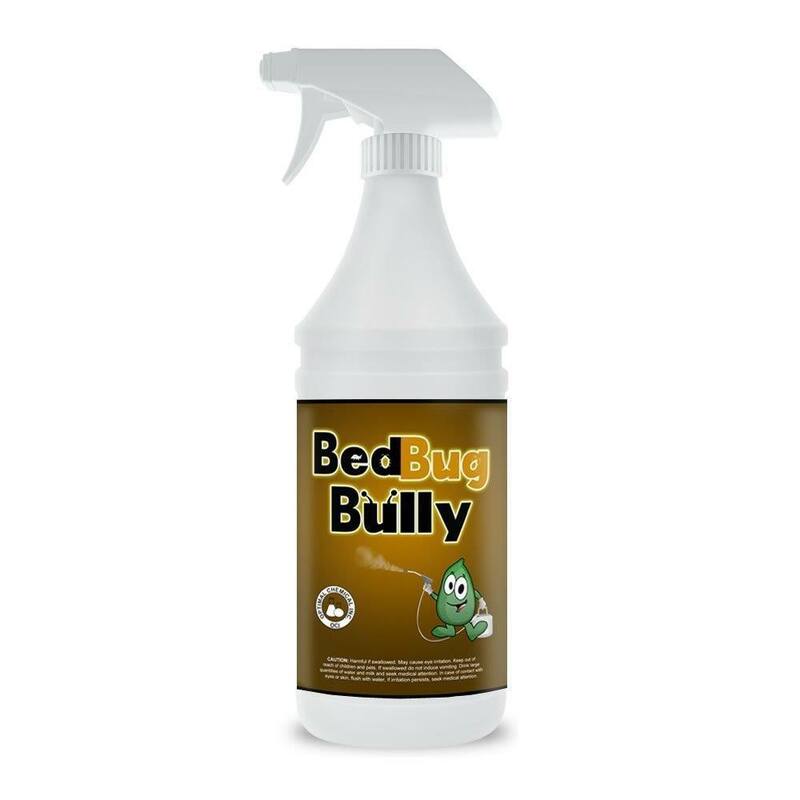 The bed bug sprays also have to sprayed directly on the bed bugs in order to have any effect. And they are very unlikely to kill bed bug eggs, which can hatch and re-infest your home. So, it’s best not to rely on these to kill bed bugs in your home. Use one of our recommended methods instead to kill bed bugs. Below, I go over our top 3 methods for killing bed bugs. This is our favorite method of killing bed bugs. Dry steamers work by emitting a small amount of very hot steam, and this heat kills bed bugs as well as bed bug eggs. The fact that they can kill bed bug eggs is highly important as most other methods cannot. Bed bugs lay many eggs around your home, and unless these eggs are removed or destroyed, new bed bugs can be born and can take root in your home again. So, you may think you got rid of your bed bug infestation, but then the bed bugs come back to haunt you. Make sure you pick a dry steamer that produces enough heat (like this Vapamore). One word of caution – keep your pets (and kids) away from you when you’re operating this device as the steam that comes out is really hot. Diatomaceous earth is a white powder that can be spread around your home to kill bed bugs. It works by dehydrating bed bugs that walk over the powder. So, it’s a great way to kill off any leftover bed bugs that weren’t killed by the dry steamer. The good thing about diatomaceous earth is that it’s pet-safe. This is an obvious method, but it’s one that’s cheap and easy for you to implement immediately upon finding out that you have bed bugs. Wash all your clothes and bed sheets on high heat and then dry them also on high heat. This will help to kill off many bed bugs and bed bug eggs. Of course, you can’t wash everything. Your mattress, carpets, and sofas will need to be cleaned by the dry cleaner. That’s why it’s important to implement all 3 of these methods in order to effectively kill bed bugs. As a bonus method of killing bed bugs and also to prevent bed bugs from taking over your mattress, get a bed bug mattress encasement. This is a device that encases the mattress and prevents any bed bugs from coming in or out of the mattress. So, if you have bed bugs right now, then this cover will keep all those bed bugs in there unable to get out. And if you keep the bed bugs trapped in there for 1 year, then they will die from starvation. If you don’t currently have bed bugs, then this mattress cover is also a great device to get to protect your mattress. Mattresses can be seriously expensive and you don’t want to have throw yours out if you get bed bugs. While a dry steamer is good at killing bed bugs in mattresses, they are not 100% effective (as mattresses are thick and bed bugs can be hidden deep inside), which means that some bed bugs may remain. And bed bugs often take root in your mattress since that’s where you sleep. Getting a mattress cover is a cheap and simple way of protecting your mattress (so that even if you get bed bugs, you don’t have to go through the hassle of dry steaming your mattress). Just one word of caution about mattress covers though – make sure they are sealed well and don’t have any tears. You might want to put tape over the zipper bit to make sure it doesn’t come open as well. This is one of the mattress covers we recommend.